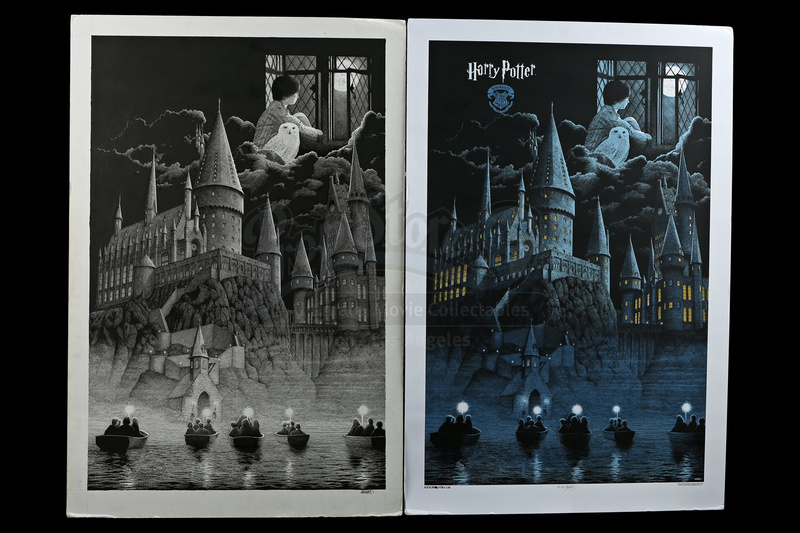 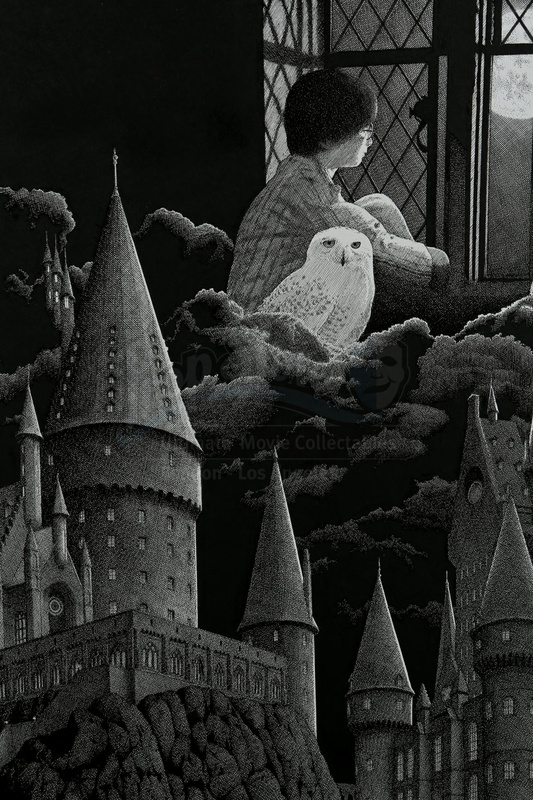 Hand-drawn Harry Potter and the Sorcerer’s Stone poster artwork by Gerhard, created exclusively as a limited-release for Dark Hall Mansion as part of its Seminal Film Series in 2016. 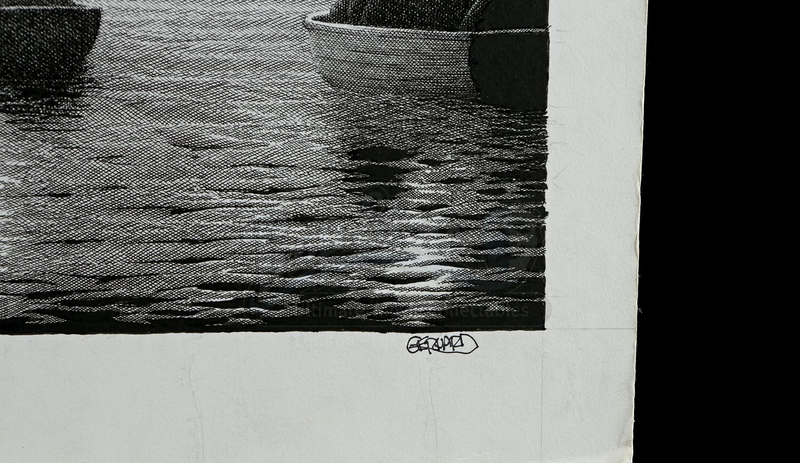 The artwork is rendered in pencil and ink on sturdy illustration board, with Gerhard’s detailed crosshatching technique applied throughout to provide different tones and shading. 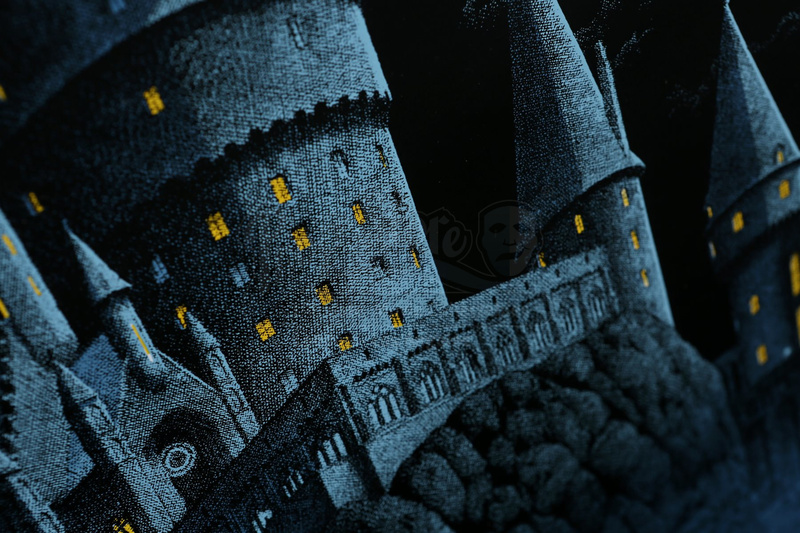 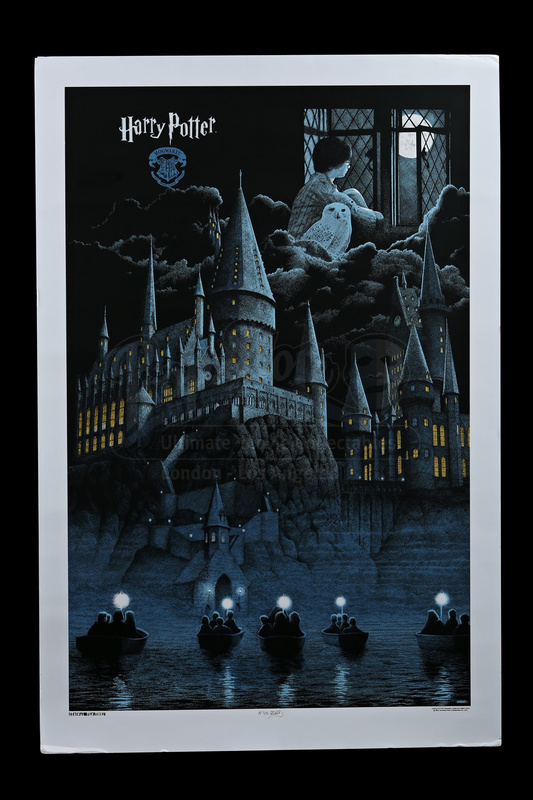 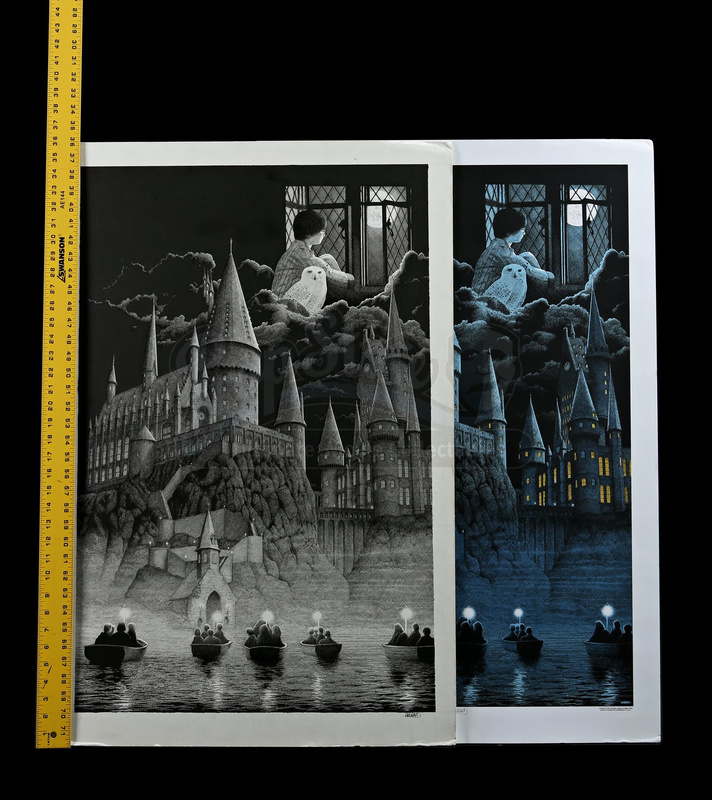 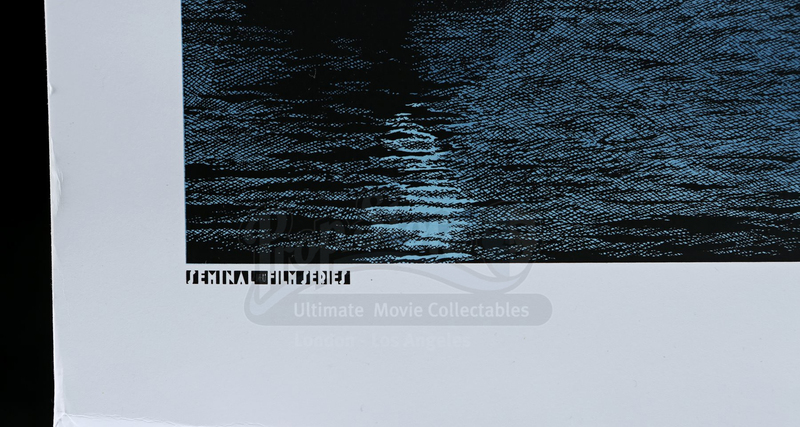 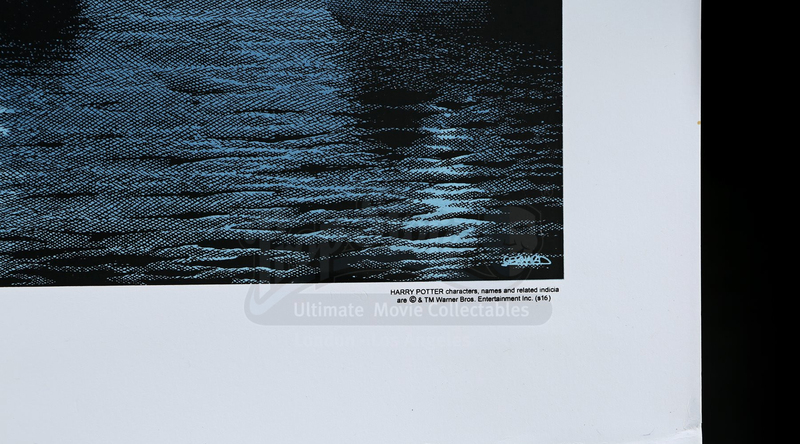 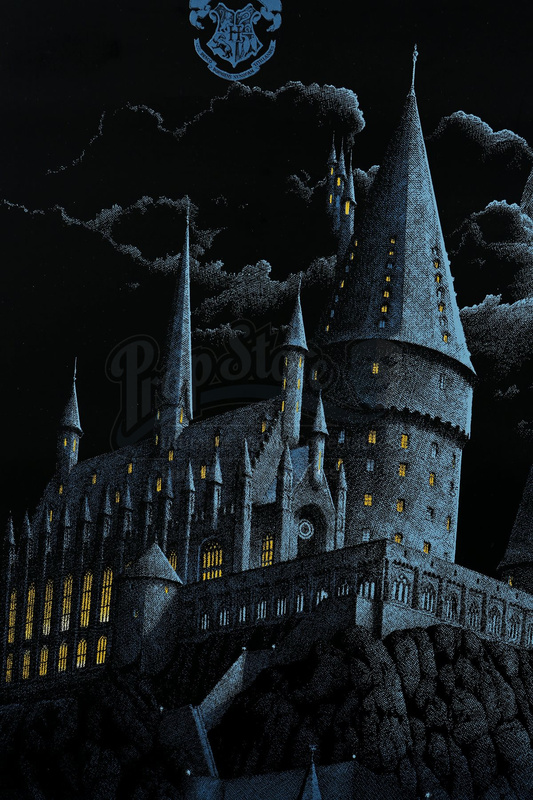 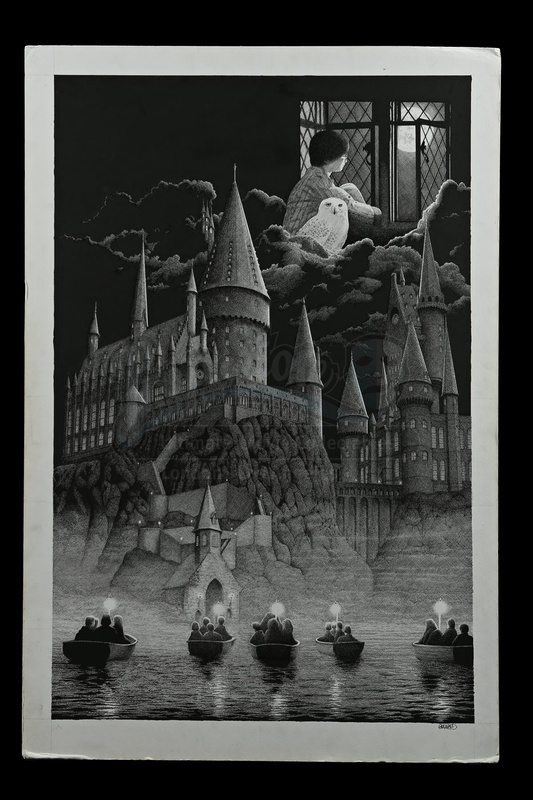 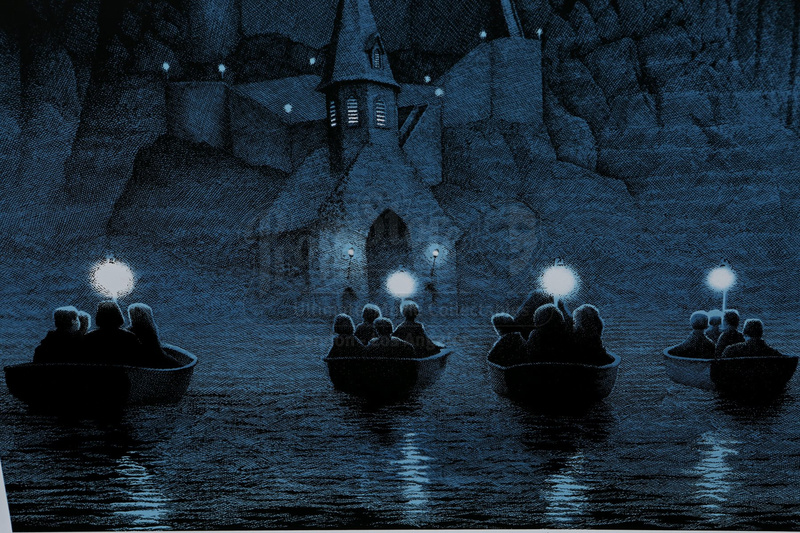 It shows Harry seated at a window in Gryffindor Tower, gazing out on a moonlit night, with the lower two-thirds of the poster depicting the first-year students travelling across the lake to Hogwarts on their first journey to the magical school. 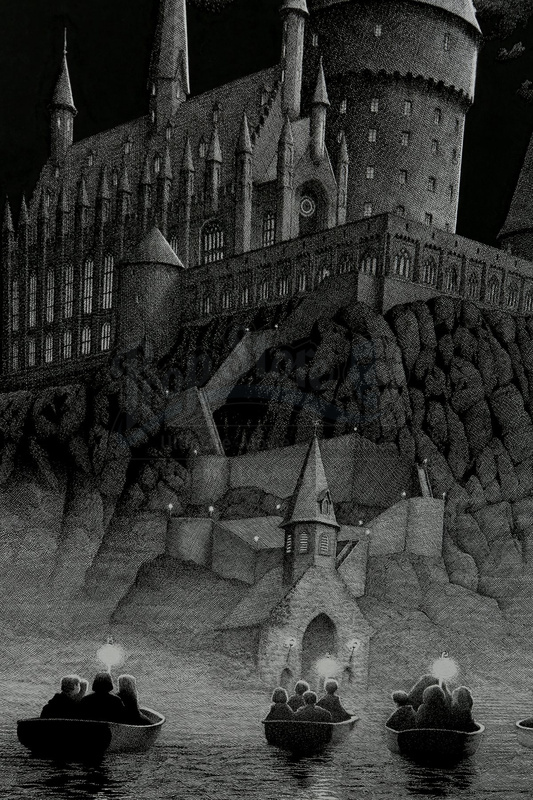 The artwork is signed by Gerhard at the bottom right of the illustration board.